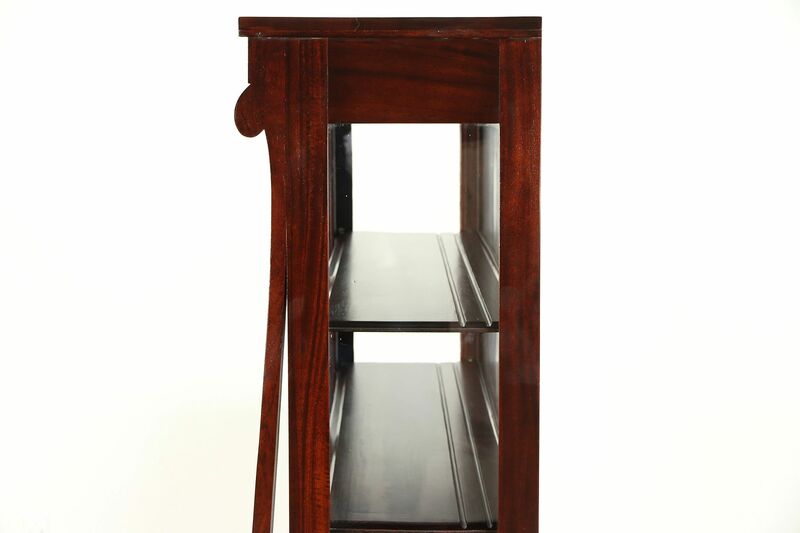 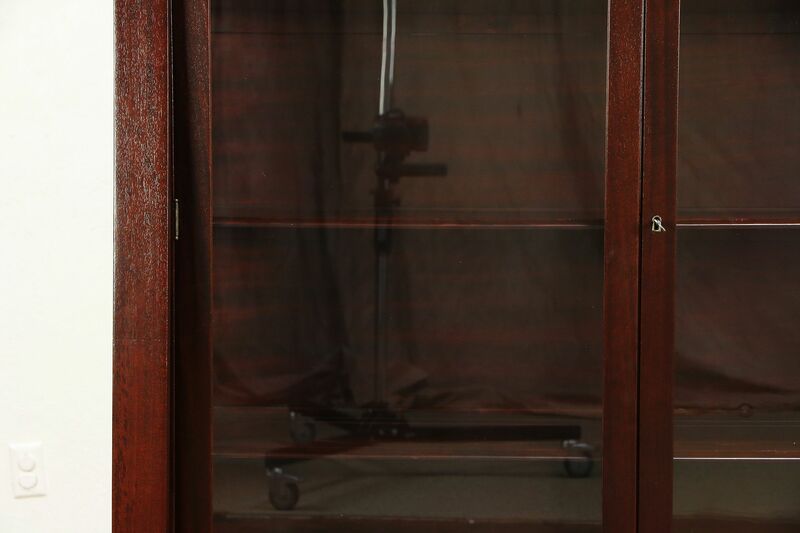 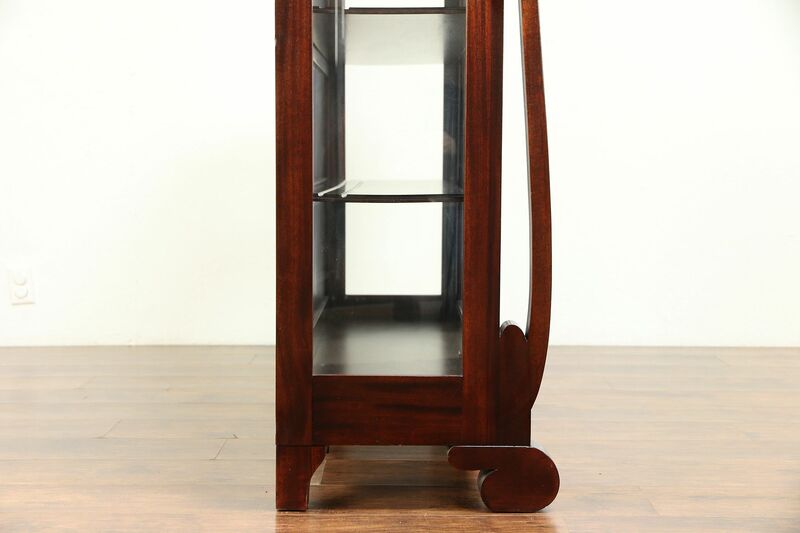 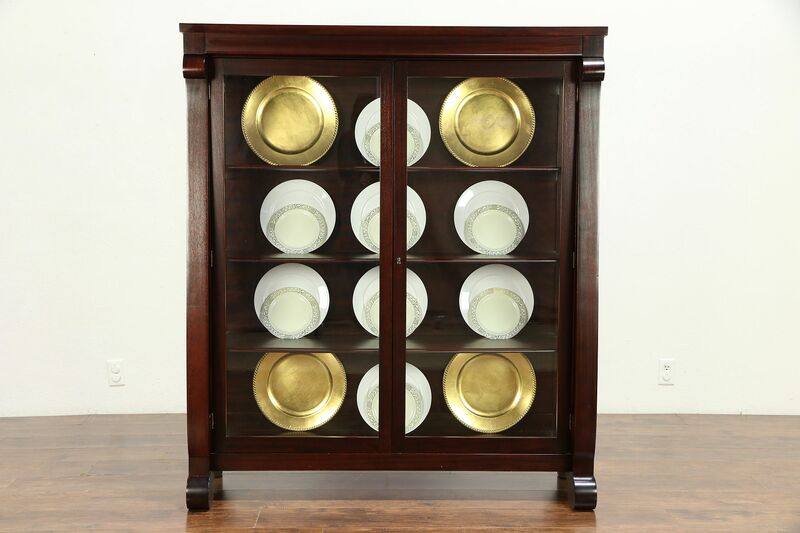 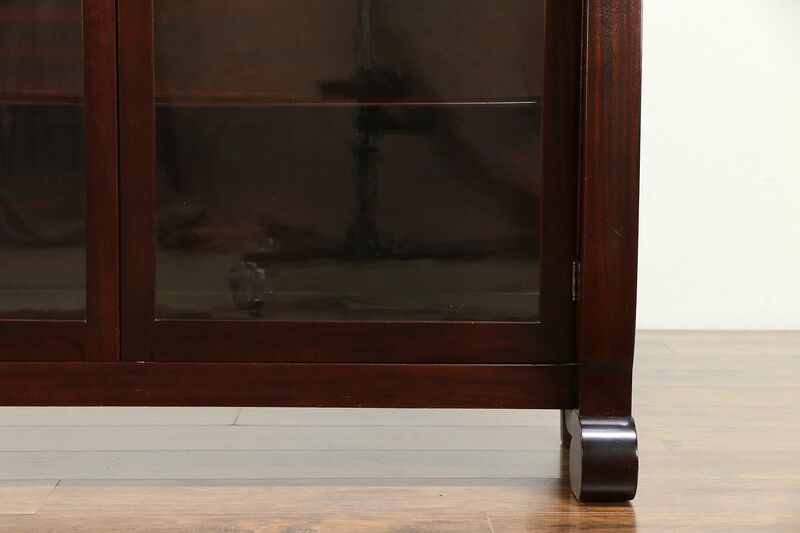 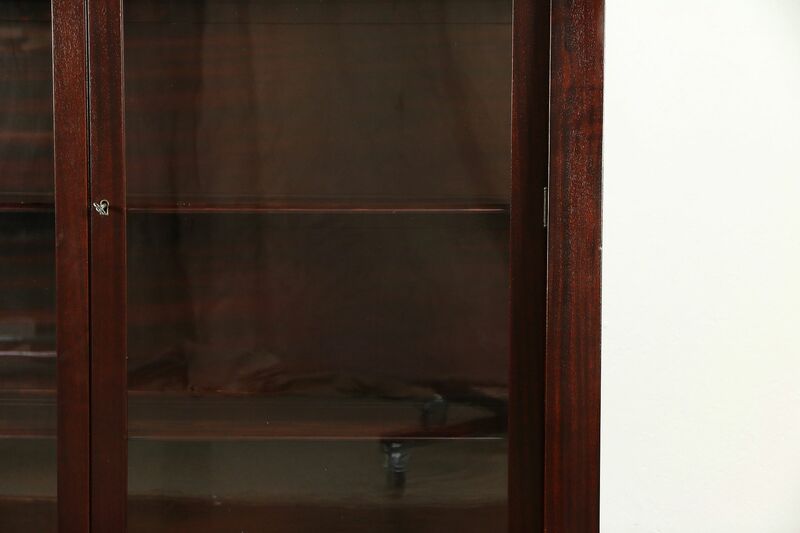 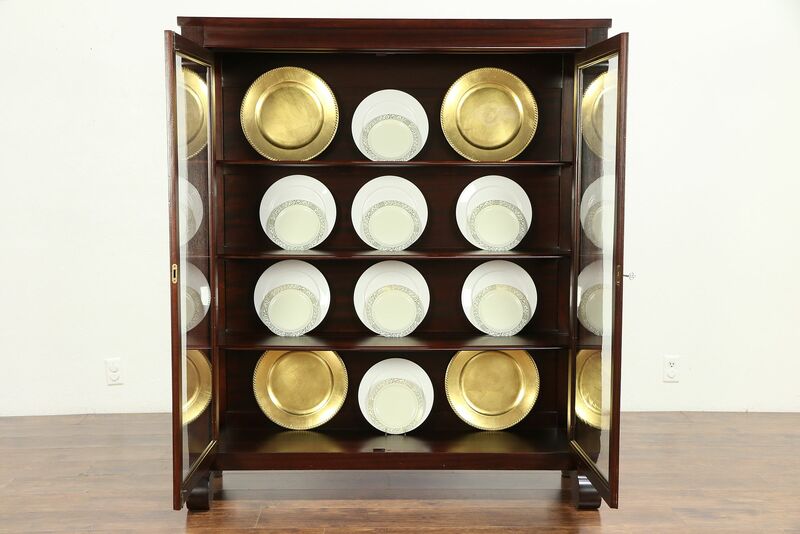 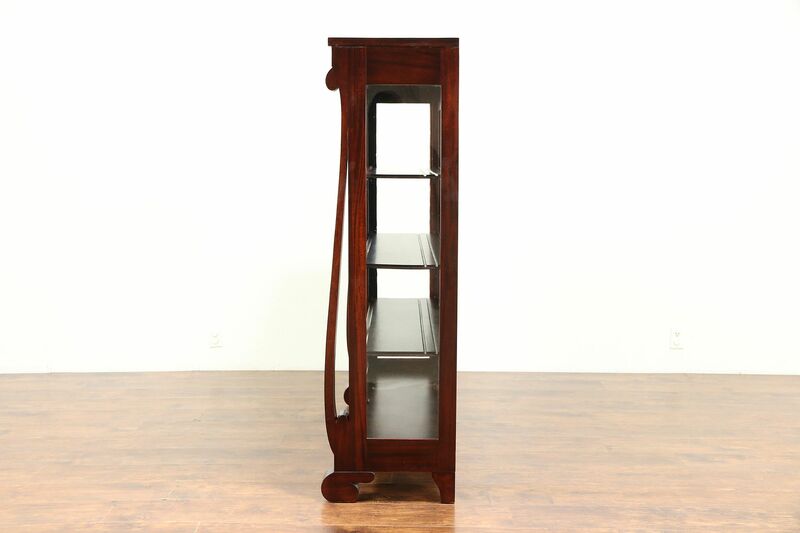 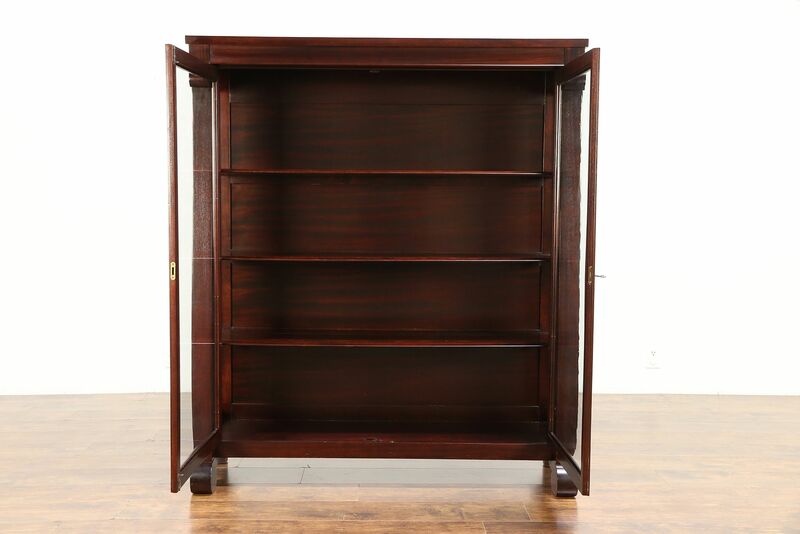 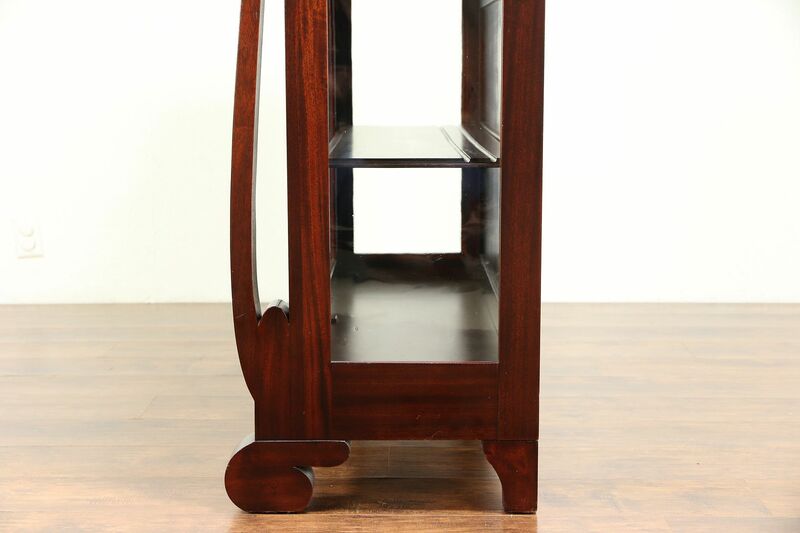 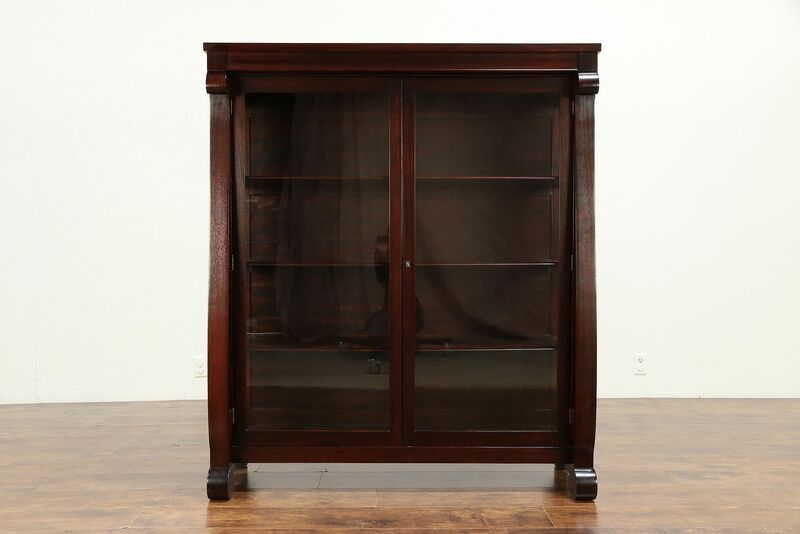 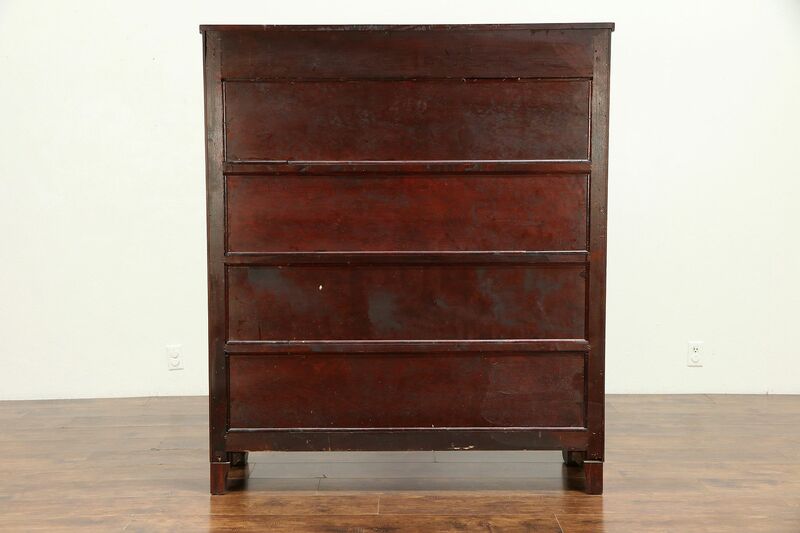 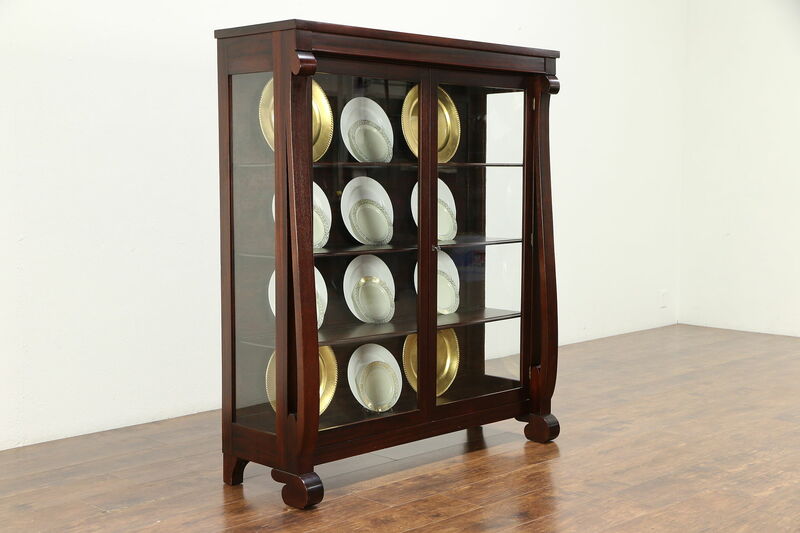 An Empire bookcase or china cabinet was carved of solid mahogany in the very early 1900's. 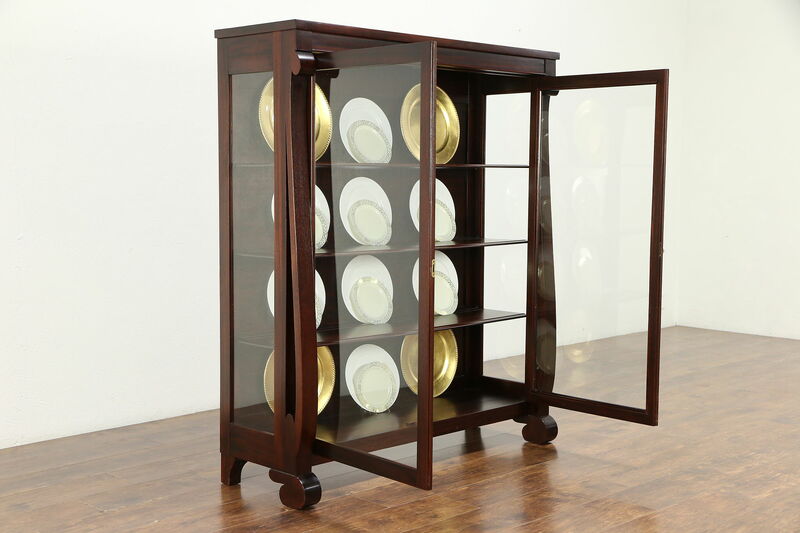 Old wavy glass is original. 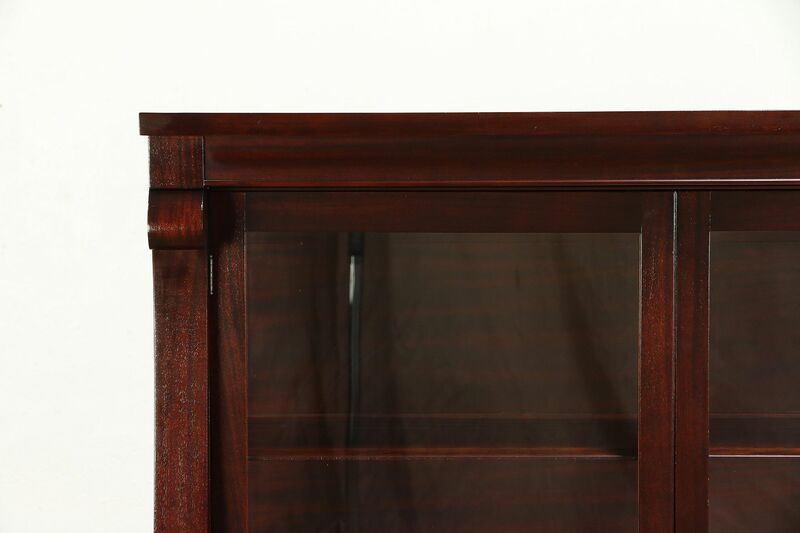 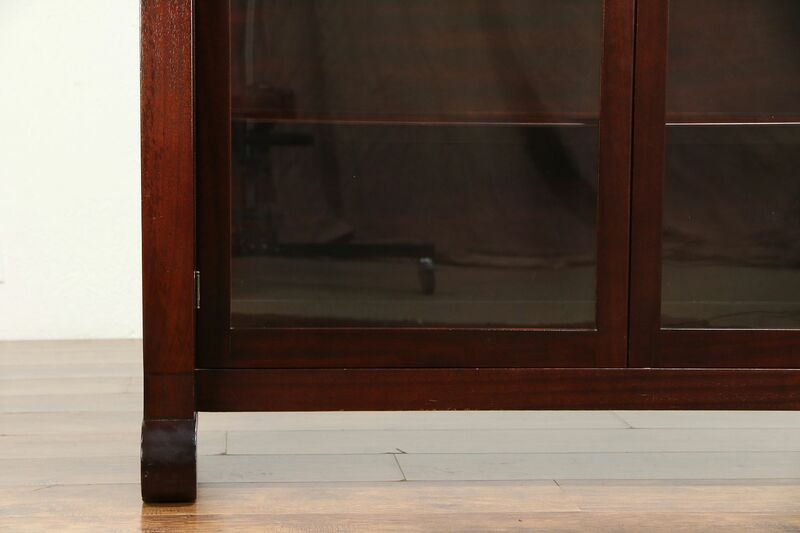 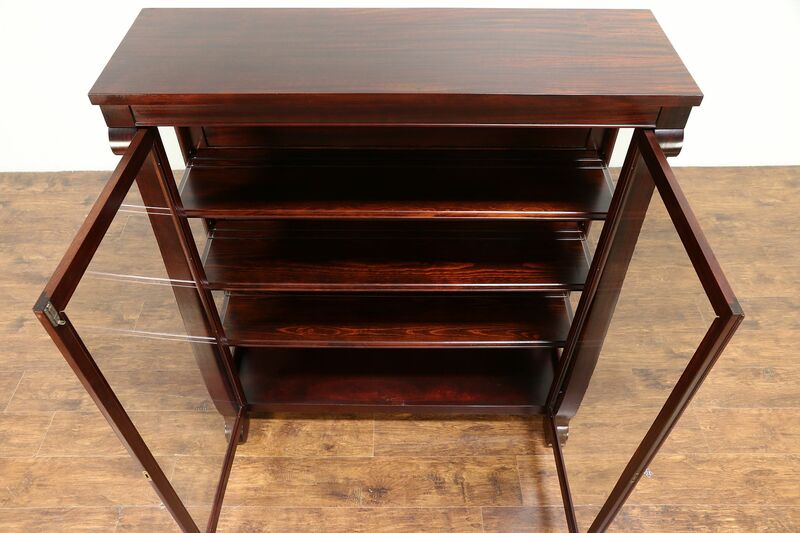 The older restored finish is in very fine condition on this American made antique library or dining furniture. 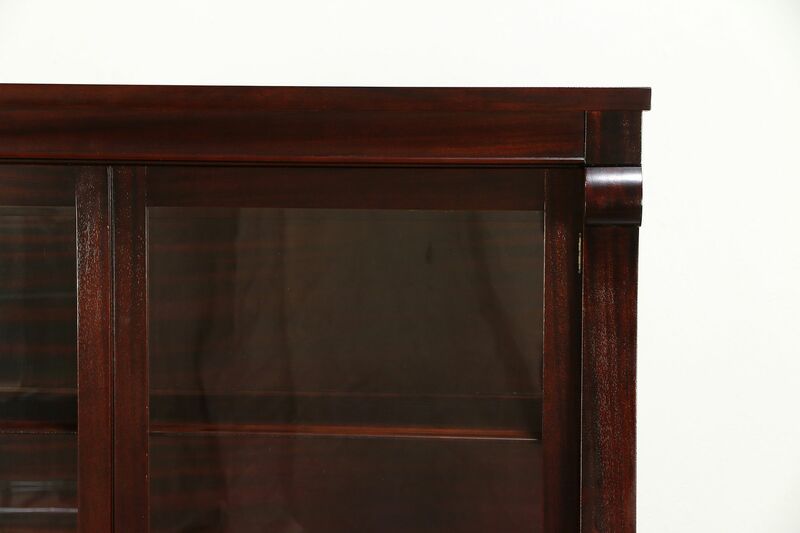 On the top is a shrinkage separations from age, see photos. 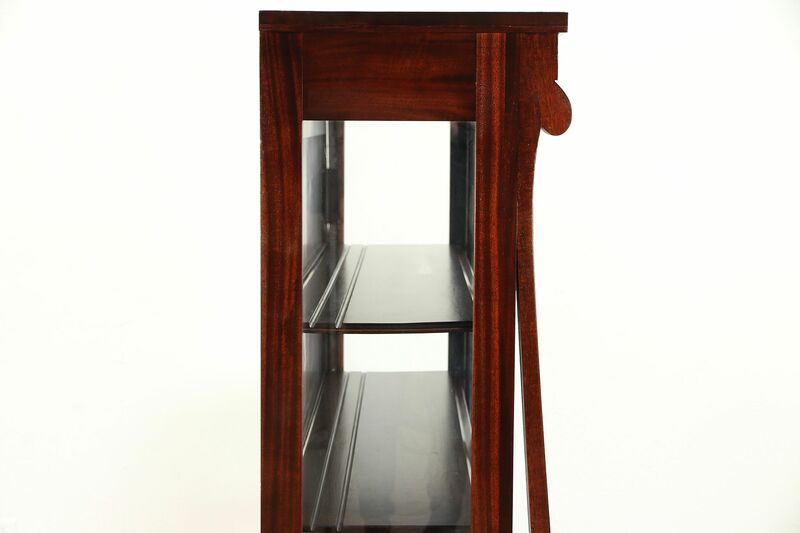 Shelves are adjustable and have grooves to display plates if desired. 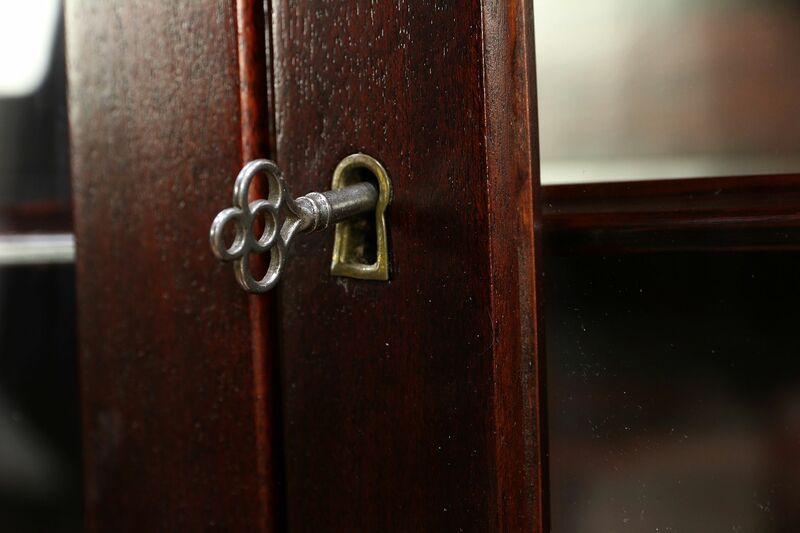 Doors have a working lock and key. 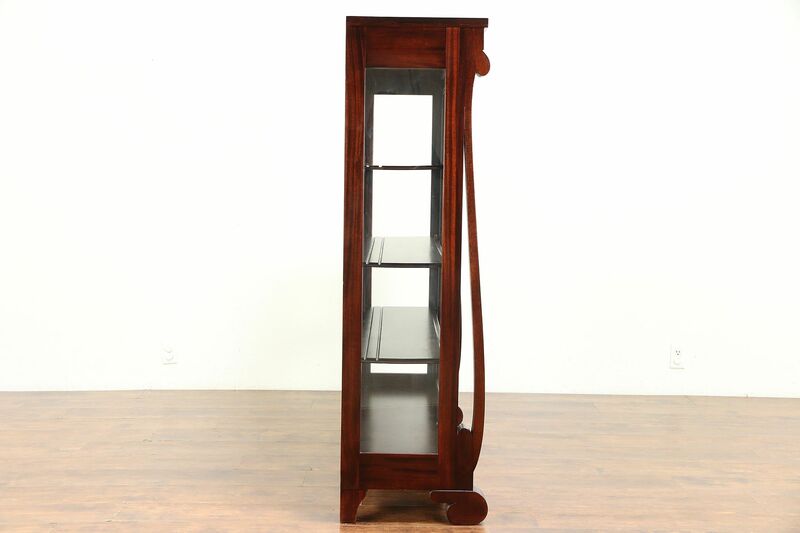 Dimensions are 52" wide, 18" deep and 60" tall.